But sometimes you need to know more. 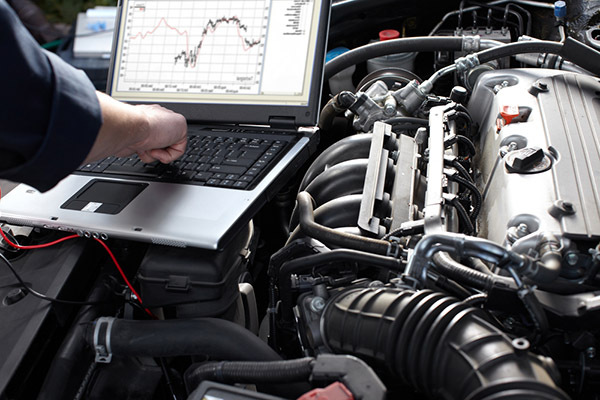 You need to take your understanding of your car to the next level. Maybe you want to get more performance so you can drive faster or more efficiently. Or maybe you want to be able to fix it if it breaks down and you’re miles from nowhere. 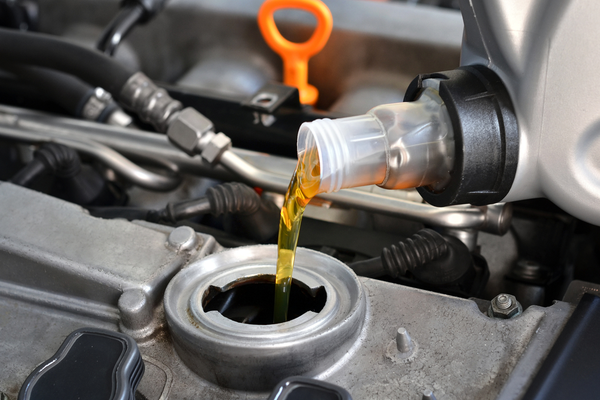 Getting under the hood of your car gives you a whole new understanding of how it works and why. You’re no longer at the whim of the machine. You have a deeper level of control. And just like with your car, getting under the hood of your software can give you that same feeling of mastery over your tools. You’re no longer required to just point and click. You can make the computer do some of the work for you. While learning how to program Revit won’t leave you with greasy hands, it does require a new set of skills and a new way of thinking about your work. Fortunately, there are ways to make learning those skills much easier. That’s where Dynamo comes in. 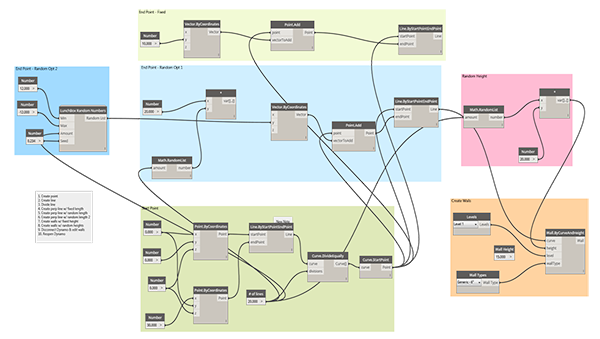 Dynamo is a visual programming tool that works with Revit. Dynamo extends the power of Revit by providing access to the Revit API (Application Programming Interface) in a more accessible manner. 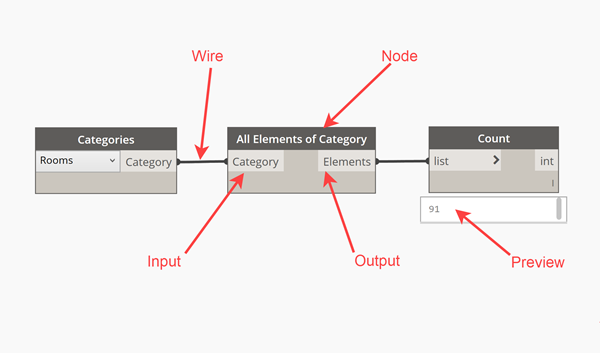 Rather than typing code, with Dynamo you create programs by manipulating graphic elements called “nodes”. It’s an approach to programming better suited for visually oriented types, like architects, designers, and engineers. 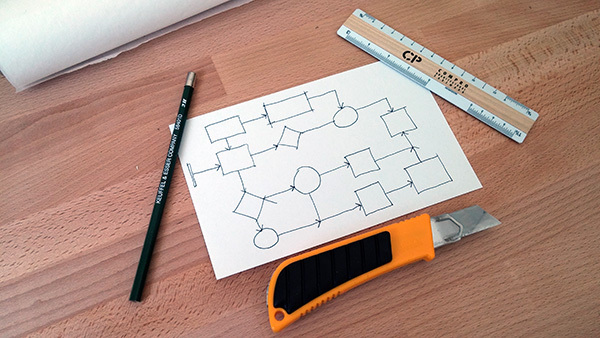 In Dynamo, each node performs a specific task. Nodes have inputs and outputs. The outputs from one node are connected to inputs on another using “wires”. The program or “graph” flows from node to node through the network of wires. The result is a graphic representation of the steps required to achieve the end design. One of the strengths of visual programming and Dynamo, in particular, is ready access to a library of nodes. 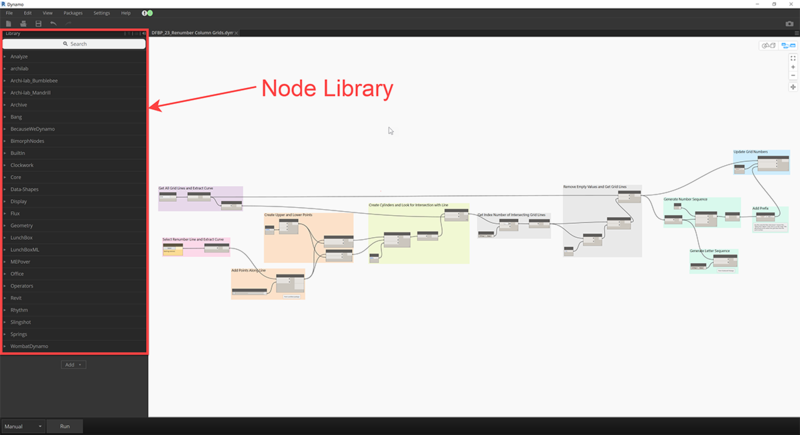 Instead of having to remember the exact code you need to type to perform a certain task, in Dynamo you can simply browse the library to find the node you need. Likewise, a contributing factor to Dynamo’s success is its user community. 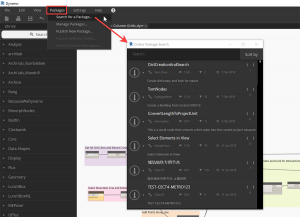 In addition to providing help on its forum, Dynamo users can also create node libraries or “packages” and upload them to a central repository. 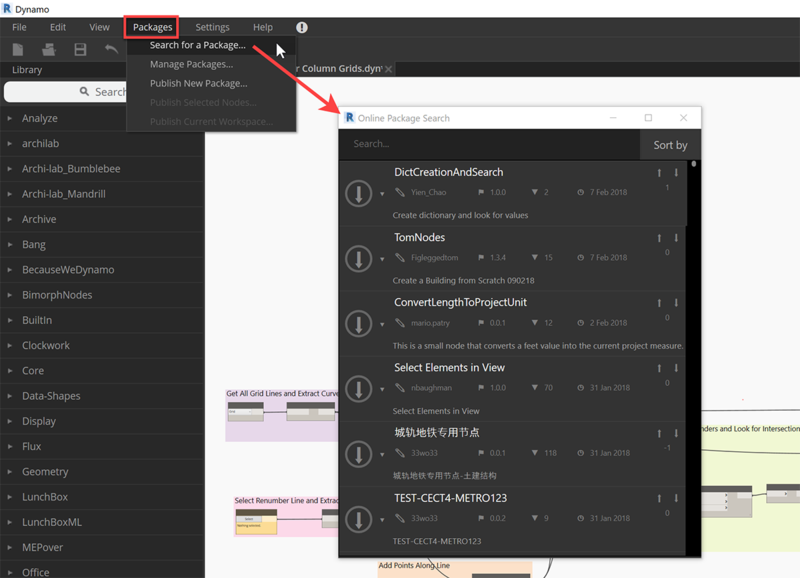 This repository can be searched directly from inside of Dynamo. To install the package, simply click the download button and it will install directly into Dynamo. What’s great about user-created packages is that they often solve very specific problems. Say you need to renumber your rooms according to a particular sequence. There’s a node for that! What about creating ducts from lines? There’s a node for that too! Some popular (and extremely useful) packages include archi-lab, Clockwork, data-shapes, Lunchbox, and Rhythm. There are even discipline-specific packages, like MEPover. Want to learn Dynamo but don’t have the time? Sign up for my free course, Dynamo for Busy People. I’ll email you a new Dynamo script each day for five days. I’ll also include an annotated screenshot explaining how the script works. At the end of five days you’ll have five time-saving tools plus the knowledge of how they were created. Sound good? Click here to register. “OK,” you’re thinking, “Dynamo looks pretty cool and it sounds useful. But what can it do for me?” Having to learn yet another piece of software is daunting, especially when your plate is already full. After all, there are only so many hours in the day. There’s a lot we need to do in Revit that’s very repetitive. Sure, the software makes individual tasks pretty easy to accomplish. But when you need to do that task 10, 20, 100 times, it adds up to a lot of clicking. The list goes on and on. What’s even better is that once you’ve created these Dynamo tools, you can access them directly from Revit using the Dynamo Player (Revit 2017 and up). There’s no need to even open Dynamo to automate these tasks. However, Dynamo makes this process much easier. 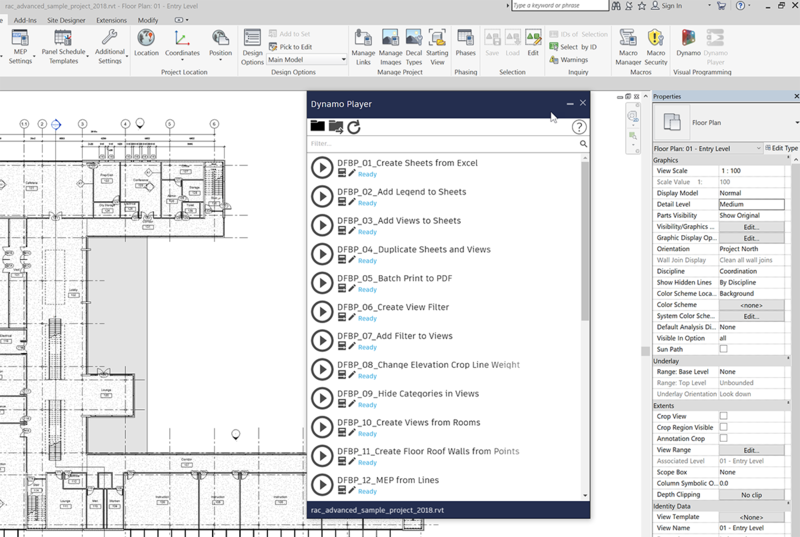 For example, using Dynamo you can create a two-way link between your Revit model and Excel. First, create a Dynamo graph to export the specific data to Excel. Once in Excel, you can modify the data as needed. Next, create another graph to import the data back into the model. Want to learn how to do this? Check out the video tutorial below. You can also use the exported data to create a project dashboard. There are lots of interesting possibilities here! By encoding the rules in a computation framework, it’s possible to generate hundreds, if not thousands of options using these rules. In fact, Project Fractal, Autodesk’s generative design tool, uses Dynamo in this capacity. 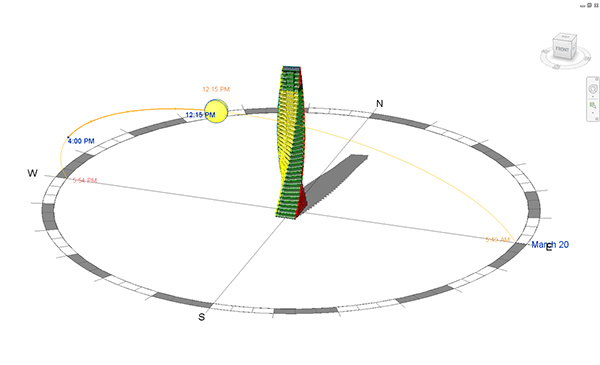 But this use of Dynamo as a design tool is not limited to twisting towers or crazy geometry. You could create a tool that generates restroom designs based on a series of four walls. Let’s be honest, most restrooms are pretty similar. If you encode your firm’s standard design into a Dynamo graph, you could easily generate a number of options, all of which meet your firm’s specified criteria. It’s smart to automate the boring stuff so you can spend your design time on the parts of the building that are more interesting. 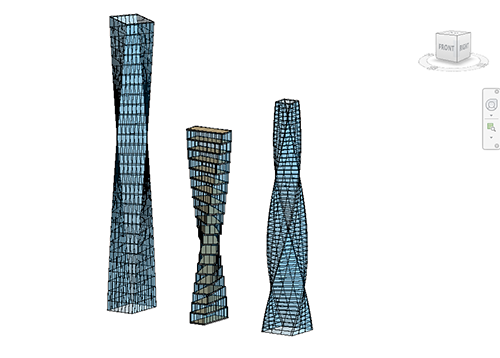 Likewise, you could use Dynamo to generate random glazing patterns on curtain wall. Or layout mechanical rooms. Or layout furniture in a typical classroom. There are a ton of design-related applications for Dynamo. All that’s needed is a little know-how and some creativity. Want to learn Dynamo but don’t have the time? Sign up for my free course, Dynamo for Busy People! I’ll email you a new Dynamo script each day for five days. I’ll also include an annotated screenshot explaining how the script works. At the end of five days you’ll have five time-saving tools plus the knowledge of how they were created. Sound good? Click here to register. While simulation data is no substitute for actual, real-life data, it does provide a way to evaluate designs based on objective criteria. Quickly determining which design performs better helps guide the way towards an optimum solution. Computational design tools like Dynamo provide a means for making this determination throughout the design process and not just when the building is finished. Performance is not just limited to the building design. either. Sometimes it’s necessary to check how your Revit model is performing. For example, it would be useful to see how the file size is changing over time. How many families the model contains. How many views are not placed on sheets? This information is useful when troubleshooting performance issues or doing quality control. By using a computational process, you are encoding the design or the workflow. Each step becomes a series of instructions that can be evaluated, revised, and improved. Likewise, each step requires specific parameters. By thinking through all the steps of the problem and considering all the inputs and outputs, you effectively create a process that can be understood and, best of all, repeated. It’s one less problem you need to solve so you can get on with the more important work! OK, so you’re on board with learning Dynamo. Great! But how do you get started? Sign up for my free course, Dynamo for Busy People. I’ll email you a new Dynamo script every day for five days. You’ll get the Dynamo script file as well as an annotated screenshot describing what I did and how I did it. At the end of five days, you’ll have an understanding of the basics and a bunch of time-saving tools to get you started. Click here to register. Goodday, I’m a student, and i would really love to learn dynamo for MEP uses, are there online courses or tutorials that could help with that.